Welcome to our website about safes and vaults. We provide important information helping you to decide which safe is the best one for your needs. 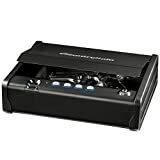 After we clarify your requirements using our buyer’s guides, you can read through individual product reviews or just head straight to Amazon.com for your safe. And if you already have one, you might be interested in accessories. For a first time buyer the available options can be paralysing, but they don’t have to be. There are several basic principles that need to be kept in mind to ensure you buy the right safe for your needs. As the only thing worse than having your valuables unsecured, is thinking your valuables are secure. Safes come in a variety of sizes and for a variety of purposes. There are wall, floor, drawer, bench, vehicle and gun safes just to name a few. These are all made for specific purposes and applications. For example, buying a wall safe and storing it in the floor is a bad idea, as generally they have weak sides that are concealed in the wall, and when they are kept on the floor they are vulnerable to an attack. Safes aren’t a relic of the past nor just something you will find in an old bank. 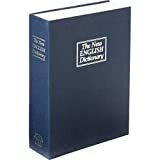 They can be found in homes, offices, vehicles and restaurants. The reason they are everywhere is that in all of these places, people are storing valuables and in all of these areas, multiple people are around. These products keep valuable goods in a controlled environment where only authorized users can access the contents. Having your valuables stolen is something that no one wants to experience. But having your firearms fall into the wrong hands is even worse, a child or a criminal gaining access to a gun can have serious and even fatal consequences. In many countries the law states that guns be kept secured and insurance agencies are increasingly offering discounts if a gun safe is installed. Safes are not just limited to protecting your valuables from thieves. They also protect your valuables from damage in the unfortunate case of fire and flooding. 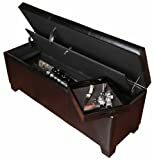 The products come with varying standards that allow the user to buy a storage box that can withhold potential natural disasters which might happen in the area. Despite major advances in digital security, physical protection is still the number one method of security. Major firms and organisations still opt to keep their most secure information in physical safes. The Internet and online storage facilities have been unable to provide the same amount of security that a traditional safe can. This a non-exhaustive list of reasons to own a safe, however, the reasons for having one and their applications are numerous. When buying a safe there are three main location options like drawer, wall or floor type. Each of these has its advantages and disadvantages and the purpose and application need to be considered carefully when purchasing. For example here we can see why someone would choose a drawer safe over the other types. Accessibility: The easier it is to access your valuables the more likely it will be used. A drawer safe can be installed in a bedside table, a work desk or even in an existing drawer. This puts it within arms reach and means that users are more likely to place their valuables in it consistently, rather than leaving it to chance. Cost: A wall and floor types both require a greater investment than a drawer type. As the user needs to take into account not just the cost of the product but also the installation. Installation: A drawer safe can be quickly and easily installed without structural changes to the building or home. Whereas a floor safe requires the flooring to be modified and in most cases a wall type requires some reinforcement to the walls to withstand the additional weight. Separation: Drawer safes are generally smaller in size than other types. Which allows the user to increase their storage capacity as required. Having multiple smaller products rather than a single big one also allows the user to compartmentalise their belongings and restrict user access. For example one drawer safe could hold firearms and the other could hold IT equipment. However, the case for a floor safe can be just as strong, it all depends on the user requirements. This product is ideal for the user that has a lot of things to store and understands that they need to invest to make this happen. A floor safe offers great protection as it is submerged in the floor, which means any potential thieves can only attempt to break into it from one side. Unlike a wall safe, which in most cases need to have the wall enforced to accommodate the weight of the safe and the goods inside it, a floor safe can be large and heavy without needing to reinforce the building’s structure. This makes a floor safe a good option for users that will be storing large and heavy valuables. In both of these areas a floor safe will outperform a wall and drawer types. Similarly to a wall safe, part of the building needs to be modified to accommodate a floor safe, which requires some extra investment above the price of the product. This makes a floor safe an attractive choice for those who intend to be in a premises for an extended period of time. This extra investment is justified for long term clients, as they are able to store their valuables in a large and very secure safe. Caution should be given to the fire rating, as placement in the floor can make a safe more vulnerable to fire damage. Choosing a floor safe with an appropriate fire rating will ensure the integrity and peace of mind of the owner. It becomes evident that there is no perfect product, rather there is only a perfect one for the application. Aside from the actual construction, the most important thing is the locking mechanism. Most modern products incorporate electronic or biometric locking mechanisms. With any security device, it is only as strong as the weakest link. In many cases the weakest part of a safe is the lock itself. With a traditional key lock, the key can be stolen from the user or lost. Which in both cases causes unnecessary bother for the owner. A combination lock is slightly better, as there is no key to lose and with the huge number of possible permutations needed to crack the lock, they are very secure. The problem with combination locks can be that once once a user knows the combination they can not be forced to forget it. The combination lock needs to be reset if their access is to be removed, which can be an arduous process. An electronic locking mechanism on the other hand provides all the safety and security of a combination lock, but also gives the user the ability to change the pin code quickly and easily to manage users access. This can be handy in situations where users will be coming and going, such as hotels. But also in business situations where employees may leave the company. Biometric locking mechanisms have the advantages mentioned above plus a few more. Using a biometric locking mechanism also increases the the usage of a safe as the user can always immediately open it without the need to go and find the key or waste time punching in a code. Biometric markers are also unique to an individual, so unlike a key they are unable to be copied and the owner of the safe can be comfortable in the knowledge that they are the only ones who can access their valuables. The technology behind these types of locks has progressed a lot over the past few years and they are very successful at preventing unauthorised access. Biometric locking mechanisms can also be incorporated as part of a two step authorisation process. The first step being the user needs to be identified by their fingerprint and once this is correct they punch in a pin code. This provides an additional layer of security and increases the security of the safe. Biometric locking mechanisms provide two advantages, ease of use and an extra layer of protection. Both of which are important things for a user if they want to use their safe regularly and ensure the integrity of their goods stored inside is maintained. Biometric locking mechanisms are using a variety of markers to enable access, but fingerprint identification is still the most commonly used marker. Having a well constructed safe with a quality locking device is great. However, even the best safes can be broken into by a skilled thief. But if it is hidden or masked as furniture, the thief won’t even get the chance to break into it. Safes can be bought separately and placed inside existing furniture or the furniture can be slightly modified to accommodate the safe. Alternatively it is possible to buy furniture that is already fitted with a security box inside it. This option is the most professional looking option. But as the furniture must also suit existing decor, many still opt to customize existing furniture to accommodate the safe. Most people will recall seeing safes hidden in bookcases in films, however, there are now a wide range of options to hide safes in furniture. For example a lounge or a table are great places to store long firearms such as shotguns. Bedside tables are great places to store jewellery as they are close at hand, which increases the likelihood of using them. Not only does masking a safe as a piece of furniture make it harder to find. It also makes better use of the available space in a home or business as well as making the space more aesthetically pleasing. Masking safes in furniture can be seen as a portable solution whereas a wall safe is permanent and is best suited to those who are looking for a long term and secure option. As there are a number of steps required to make a wall safe in a home or business a reality. Firstly the product needs to be suitable for usage in a wall, this is often overlooked and not all of them are suitable to be placed in a wall. Secondly a suitable place for the safe needs to be found where it can be installed. An expert can help here, as a position where it can still be easily accessed is needed. But it should not reduce the usability of the room. At this point it should also be determined if the wall only needs to have a cavity made for the safe to go into. Or if the wall itself also needs to be reinforced to handle the added weight of the safe and the contents it will hold. Once the wall cavity has been created and the safe has been installed, it needs to be concealed. A tradeoff is made between how well the safe should be concealed and how easily accessible it should be. 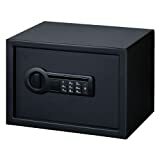 This will depend on the intended use of the safe, but priority should be given to making it easily accessible for the user so that it can be used regularly. There is a little bit of planning and work required to install wall and furniture safes, but their advantages in most cases justify the effort. Depending on what the purpose of the safe it is generally a good decision to buy a fireproof one. But they are not created equal, having a variety of ratings and specifications. For example paper, film, digital media and data all have different requirements not only for the temperature at which they become vulnerable but also the point at which humidity will start to damage the materials. Understanding how fireproof feature works will help you make a better purchase. Fireproof safes are made to have a cavity between two layers of steel or alternative alloy that is then filled with a fireproof material. When this fireproof material is subjected to heat, it expels water vapor. Which enters the main safe chamber with the dual purpose of decreasing the temperature inside, but also providing a pressure imbalance which makes it difficult for the heat from the fire to enter the safe and damage the goods. Many people believe that a fireproof safe will also guard their goods from flood damage, but this is not necessarily the case. Water damage is achieved by seals on the door and any other part of the safe that opens. A fireproof product will have vents or valves to assist it in managing the pressure levels in the safe and the release of moisture within it to ensure the humidity does not reach damaging levels. Apart from managing the heat and humidity levels of the safe, the products are also tested to ensure that they can withstand falls, as buildings often collapse when a fire breaks out in a building. Hence, buying a fireproof safe generally means that it will be much more robust than a standard one. A safe can be optimised for a user by the purchase of additional accessories.The goods should not simply be thrown inside, instead they should be stored in a logical and systematic manner, so that the user can easily find their possessions when needed and also to protect them from incidental damage. There are a large range of accessories on the market to help users store their valuables effectively and make the most of the space within their safe. For example a door panel organizer is a great investment as it provides extra storage for guns as well as ammunition and other associated goods. Humidity can be a problem in some areas and the moisture can easily damage the contents of the safe. Therefore prudent gun owners usually invest invest in a dehumidifier to help them control the moisture levels inside. As well as Gun racks, which can be placed on or hung off shelves to keep the guns organized and are a great option where multiple users store their guns. As every gun owner has a set place to keep their firearm. An often overlooked accessory is an internal light. Safes are accessed by owners at all times throughout the day and night and the extra illumination provided by a light helps the owner quickly find what they are looking for. Many more accessories are available to users to satisfy their storage and access needs. There is a lot to consider when buying a safe; size, type, concealment, fireproof, locking mechanism and accessories. 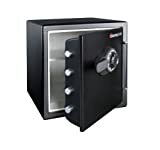 However, the proceeding information together with our buyer’s guides break down the key elements of safes and help to assess the storage needs so that you can make an informed purchase. And after you clarify your requirements then check our reviews of specific products. © Copyright 2018 Locksmith-Advisor.com · All Rights Reserved · A redistribution or reproduction of the contents in any form is prohibited except with our explicit written permission.